Best Adjustable Beds Review And Buyer’s Guide. How many times have you woken up in the middle of the night to adjust yourself around a bunch of pillows in order to get the most comfortable sleep possible? If you have back problems or any other issue of that sort, you know how important it is to be able to adjust yourself properly to get the best possible sleep. You are very familiar with what adjustable beds are if you have ever been to a hospital or doctor’s office. These are beds that can be adjusted to make a patient comfortable. Now you can have them at home and in this, here are the best adjustable beds. Are you looking for best radar detectors? don’t worry we covered them too, here is our best radar detectors article. 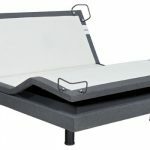 Best sellers link from Best Adjustable Beds category. The Lucid L300 Adjustable Bed Base comes in both twin and queen sizes and supports up to 750 pounds. With a head lift of up to 60 degrees and a foot lift up to 45 degrees, this adjustable bed also has a lot of other awesome features. One of these features is that it is really easy to put together. You have a place to charge your phone or other devices on each side of the bed. This includes a remote that has a flashlight to help you see around at night. It also has a programmable memory where you can set a setting of the bed and it will keep that setting and move the bed to that setting anytime you press it on the remote. This way you don’t have to completely reset the bed each time you want that certain position. While the Lucid L300 Adjustable Bed Base has so many things to offer, it is also made to make shipping easier to handle for customers, meaning they do not pay as much as it would cost to ship any of the other beds. How did they do this? It has the first-ever folding hinge. This means, it can be shipped straight to your door. You then can set up this adjustable bed, with a few screws and placing the legs in place, the bed is then fully functional. This makes a happy pocket, and a happy customer. While there are so many great parts, the Lucid L300 Adjustable Bed Base is also pretty cheap to purchase, ranging at around $800 and again low shipping costs. So between the cheaper price, the gadgets of which are built in with the bed base, and the easiness of putting it together without having a whole lot of tools; making this the best pick of many. The S-Cape adjustable bed comes in most all sizes from twin to split California king. It also can support up to 700 pounds. This bed also comes with the head being able to be lifted up to 58 degrees while the feet can be raised up to 44 degrees. While this bed comes in different sizes, it also comes with a massage mechanism that also includes an on and off switch. It also comes with two programmable position buttons, flat button, and a wireless remote that stands on its own, no pockets needed. While the Leggett and Platt S-Cape adjustable bed comes with all those features, it also has a few unique strengths as well. It includes an emergency power down feature along with a press and hold safety flat feature to ensure the safety of you and your loved ones. This allows the abrupt stopping in case of emergency and you need it turned off immediately. With so many features included in the S-cape for customers, there’s no debate in why it is chosen as one of the best adjustable beds to purchase. If you are caring for yourself or a loved one, you can ensure the comfort and safety of them and yourself. While this adjustable bed is bit expensive, you can see why it’s definitely worth being placed on this list. Classic Brands bring in their Adjustable Comfort Adjustable Bed base in with a head raise of up to 60 degrees and feet are raised up to 40 degrees, and being able to up to 850 pounds. It is equipped with head and foot massage and of course places to plug your phone charger. Classic Brands also threw in a 3 year warranty on this bad boy. While this Comfort Adjustable Bed Base includes the warranty, it also has been given stretchable plug-in cords that work like bungee cords. They also threw in a wireless remote. According to requirements, an adjustable bed needs 4 legs. Classic Brands went above and beyond and placed 6 adjustable legs to ensure the safety and stability of their customers. This includes the Zero Gravity Position, which helps with back pain, sleep apnea, heartburn, or acid reflux. With so many features, and coming in at a whopping $500, you can see the benefits that this bed provides. Classic Brands has created a bed, to go above and beyond, for their customer’s health and comfort. With this, it’s no doubt; it needed to be added to the list of the best adjustable beds. This best adjustable bed in [year] is simply simple with the name being self-explanatory. The Hofish one-stop Assembly bed base is simply being able to put it together in one step, that requires no tools, and takes about three minutes to put together, who wouldn’t go for a much simpler way of putting up a comfortable bed. These beds are made to be easy to set up with any adult. While it is built with German technology, this bed allows for a very smooth transition through different positions and tops it off with being noise free (one quiet bed). Coming in with a lifting capacity of 750 pounds, this unique bed has found its way into this list. The Hofish one-step assembly bed base also comes equipped with a handy removable pocket for the remote they give you, along with the wireless back-lit remote itself. This thing includes 9 programs in total with 2 customizable buttons to program your favorite positions. There also two charging stations built in each side of the bed, making four ports in total. Just in case that is not enough, not only does it come with non-slip fabric that is said to be high quality, but it also comes with a “flat button” and a lightening protection adapter in case of a bad storm and the electricity goes out. All Hofish adjustable beds go through double testing before shipping out to you, in order to ensure their safety and comfort. With so much to offer and built into the bed, it’s no wonder it made the list as well. The Hofish One-step adjustable bed comes in ranging around $700 and can be shipped right to your front door. It is said to be heavy, so make sure you get some help with this awesome bed. This amazing bed makes you feel as if it really is all about you. The iDeal Bed 4i Custom adjustable bed base comes in sizes from twin to split California king. It is equipped with a lifting of your head of up to 70 degrees and foot lift of up to 45 degrees. It can also hold up to 750 pounds. This is all backed by a 10-year manufacturer warranty, which is optional, if you want it. The iDeal Bed 4i custom adjustable bed base also comes with a remote that is back lit and has eighteen buttons for you to do with as you want. It is also included with a full body massage, with three intensity levels, four modes that include wave, pulse, and constant with up to a thirty minute timer (talk about falling asleep to a good massage). This means after 30 minutes, after you have gone to sleep, the massage will stop automatically. This leavs you in a restful state so that you do not have to wake up and turn it off. What an amazing bed right! Get this! It also comes with an under-bed night light and a safety remote flashlight. This means that even in the night you will be able to see and safe to move around your area. When you get back in bed, you can also press one of the 3 pre-set positions that include Zero Gravity, anti-snore, and flat. Don’t worry if there is a power outage, there is a safety batter back up for power to bring the bed back down. This adjustable bed comes into the list with a little bit more to offer. They are offered in different sizes ranging from twin to split California king. The Prodigy 2.0 has a head lift, of 60 degrees and a foot lift, of 45 degrees. It is also able to lift up to 600 pounds. It is also including a LED back-lit, 2-way remote control that is wireless (one fancy remote). Prodigy 2.0 also has full body massage with wave action. It contains built in charging ports and night light underneath the bed. With this bed, you are able to relocate the remote in case it is lost or misplaced. It also has a built in alarm clock and wake-up timer to where you get woke up with a massage. Talk about chunking that annoying alarm clock and being woke up by a nice massage and a little music. Last but not least, this amazing bed also comes with the ability to be hooked up through bluetooth and controlled by an app. Yes, there’s an app for the bed too. Coming in on IOS or Android, this bed can be controlled by an app on your phone. It gives you 8 extra personal setting buttons that are not found on the remote (set it while not within reach). With all of these gadgets, it’s hard to say no to this bed. Leggett and Plat Raven Adjustable bed base, with head and foot articulation, makes the list as well, coming in on the more simple side of things. Although this bed may not have the built in charging ports or a massager, it definitely makes that up in its own way. It appeals the customers who find all the bells and whistles more annoying than useful, and would rather have fewer complications. The Raven comes in different sizes ranging from twin to split California king. It can also hold up to 850 pounds. It is equipped with a hook retention system which holds the mattress in place while you move through positions; no bars are needed to hold the mattress in place. The look of the hook retention system adds a more modern, more “roomy” look and feel to a bed. It also allows the easier ability to make ones bed without having to move around the bar or hitting the bar during the process. The Raven also comes with a wireless, back-lit remote. This allows the ability to adjust your bed without interrupting anyone’s sleep or straining your eyes to adjust when turning on a light to see. This remote has six buttons and a sync cable. This means that the head of the bed and the foot of the bed can be moved at the same exact time. The remote also has a flashlight, to allow one to see at night without disturbing anyone turning on big lights. This also allows one to safely move around their home. The iDealBed Reverie 7S adjustable bed base comes in with a few tricks on their bed as well, adding a good variety on this list. Being able to hold 850 pounds, this bed also has an automatic safety stop in case of the weight going above 850 pounds. This bed also includes a power down feature in case the power goes out. It also comes with a 20 year manufacturer warranty. What else can the iDealBed Reverie 7S give? Well, their beds are built with a bluetooth module that is linked to an alarm clock that literally raises the bed in a position that wakes you up. It also has built in massage with 10 levels of intensity and 4 wave modes that is super quiet. This bed can be controlled through an IOS app. It also has a wireless remote with lighting. Through all of this it’s no wonder with the iDealBed Reverie 7S adjustable bed base has made it on the best adjustable beds in [year] list. With the 2 programmable settings that allow you to save your own comfort to button they also have 3 other pre-programmed settings. Tempur-Pedic ERGO threw in their version of Reverie 7S. This adjustable bed includes a wireless remote with 2 programmable buttons for your own personal settings and 2 preset buttons that include anti-snore and zero gravity. It has retainer bars on each corner of the bed and can hold up to 850 pounds. It also comes with a few technological parts as well. The Reverie 7S from Tempurpedic has an super quiet massager with 10 intense levels. You can choose hand and feet at the same time, hand only, or feet only, talk about having options! The amazing part is all of it can be operated through the bluetooth on your smartphone, laptop, or tablet. This is available through Apple or Android products. What could be better than having all those features? Having a 20 year limited warranty to back it up. It fits most standard bed frames, and can be shipped straight to your door. All this can be available to you at around $1,200. The Reverie 5D Deluxe adjustable bed from Tempur-Pedic includes a back-lit wireless remote. This includes the anti-gravity mode. The head lifts up to about 70 degrees and the feet rise up to 47 degrees. The Reverie 5D Deluxe adjustable bed also supports up to 850 pounds. This bed also includes three pre-programmed wave massage modes with different intensity levels. It is also compatible with most average bed frames. It is also recommended that you purchase a surge protector to go with the bed. It also has four retaining corners in each corner of the bed to ensure the mattress of which you choose stays put even during position change. While this bed does not have a lot of bells and whistles, it does provide the ability to sleep as comfortable as possible. With the press of a couple of buttons you could be getting that sleep you have been missing out on. With all its advantages It justifies its price. Finally, the Fashion Bed Group made their way into the list with their 4aQ169 S-Cape adjustable bed base. Their bed keeps you close to your night stand while sitting or sleeping comfortably without having to bend around to it. It’s able to be adjusted at the head to 59 degrees while the feet can be raised up to 45 degrees. This bed is also said to be compatible even with your current mattress that is on your current bed. t is also provided with a wireless stand up remote. The remote has two programmable custom positions to program your very own favorite positions and never have to reset it. This also includes a sync cable and can hold up to 700 pounds. The S-Cape adjustable bed base from Fashion Bed Group comes in at a cost of around $1,100 that can include up to a twenty-five year warranty. To make sure that the customer or their loved one is safe, they also built in an emergency power down button. They also included a press and hold safety feature. As you can see, there is a large range of different types of adjustable beds. While there are only a few chosen here, please take the time to fully research the perfect bed for you or your loved ones. Checkout more best Adjustable beds using below best sellers link.